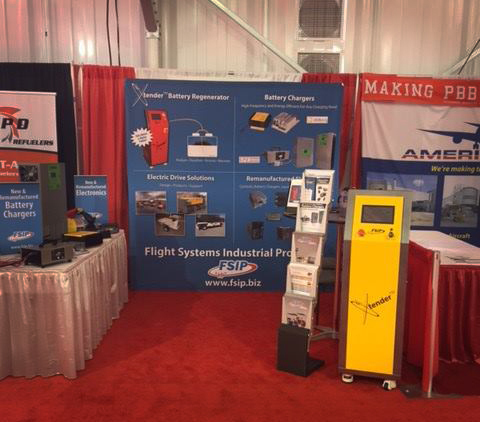 Flight Systems Industrial Products (FSIP) will exhibit at The International Airport GSE Expo in Las Vegas, Nevada from October 18th-20th. The event brings together Ground Support Worldwide’s GSE Expo and IAEMA’s International Airport Expo, to create the one and only ground support equipment trade show in 2016. FSIP is exclusive distributor for Xtender Battery Regenerators throughout the Unites States and Canada, and will showcase the Xtender machine at The GSE Expo. The Xtender analyzes, desulfates and restores all types of lead acid batteries. FSIP continues to expand their battery management product line to more fully meet the needs of their customers. Visit FSIP at booth #250 to learn about all the battery maintenance products they offer.